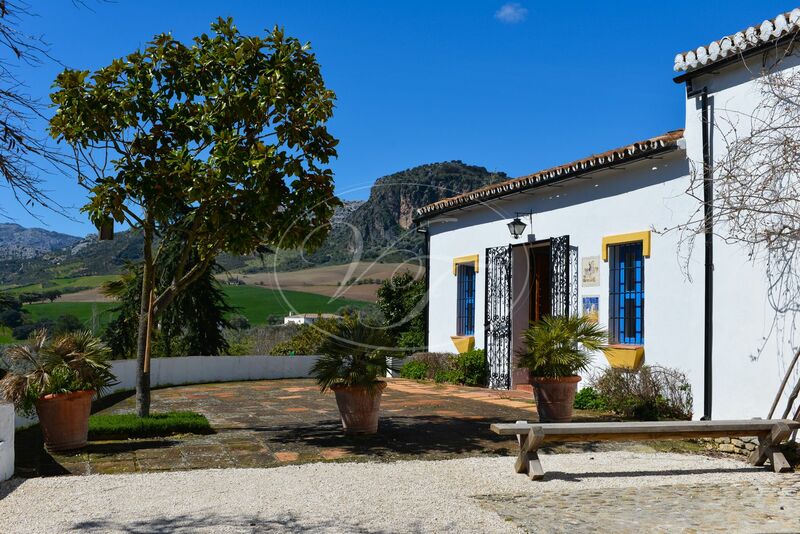 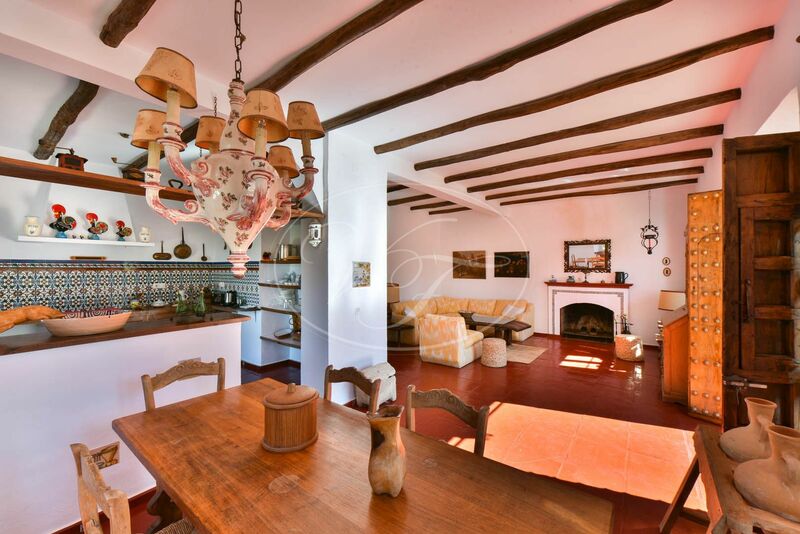 Beautiful Cortijo with courtyard and stables near the historic town of Ronda, Málaga, Andalusia. 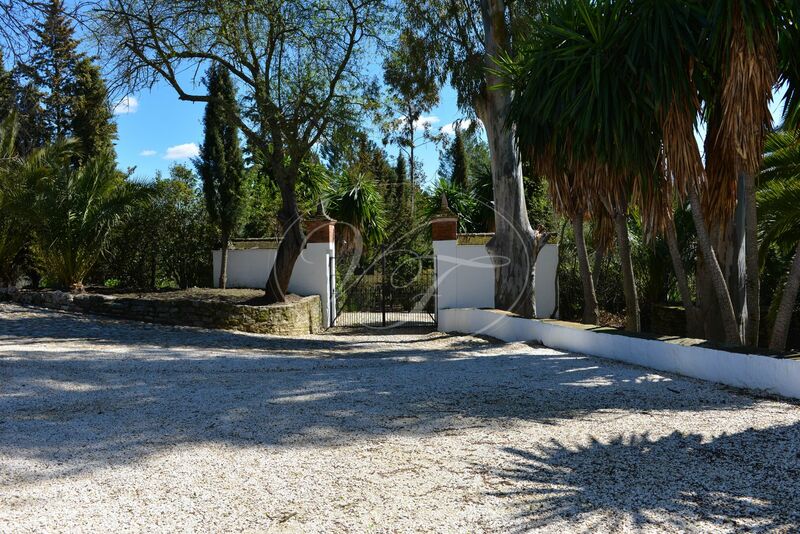 This country property is completely fenced and comprises 35.000 m2 of fertile land. 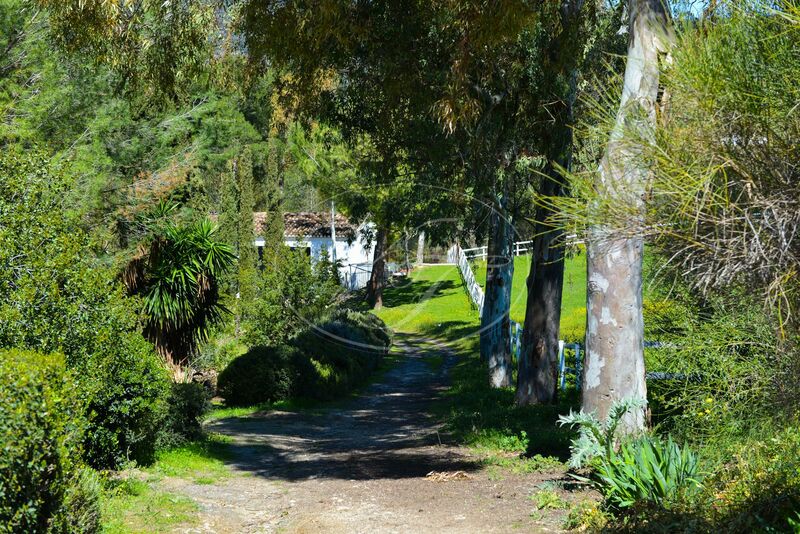 The residential area measure app. 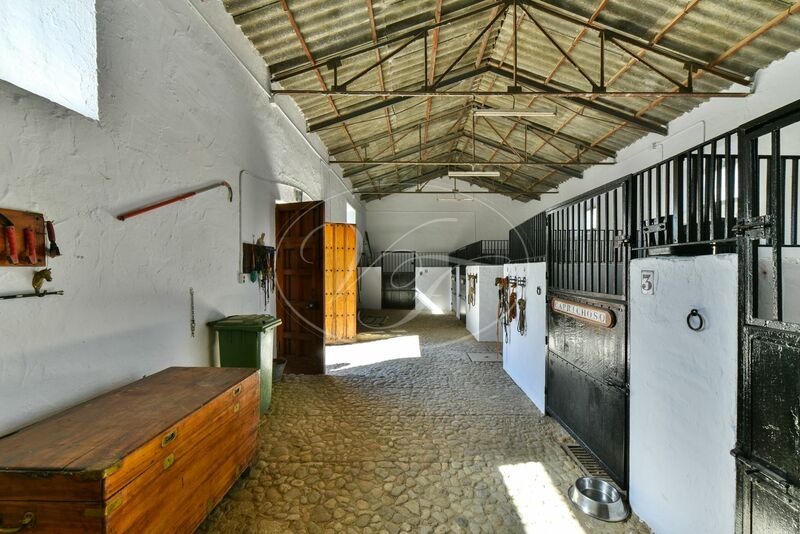 640m2, the stables 100m2 and the barn 90 m2. 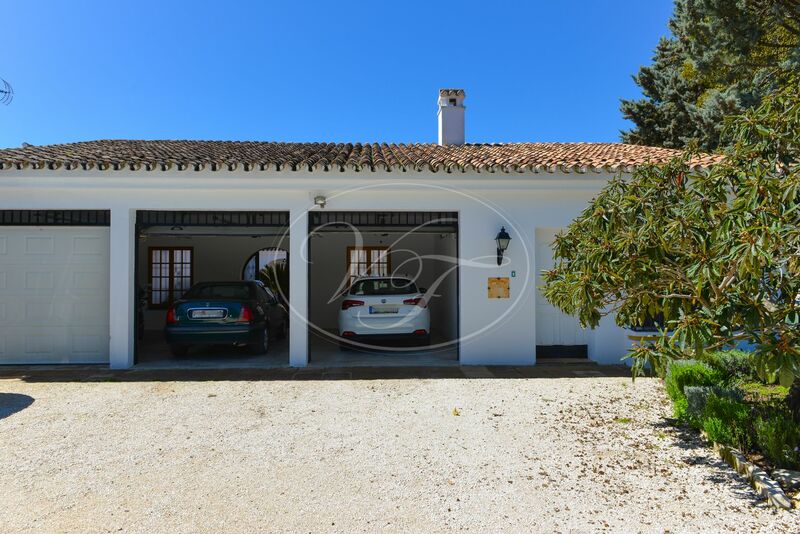 The residential area has a main house, 2 independent guest houses, a garage and a bodega. 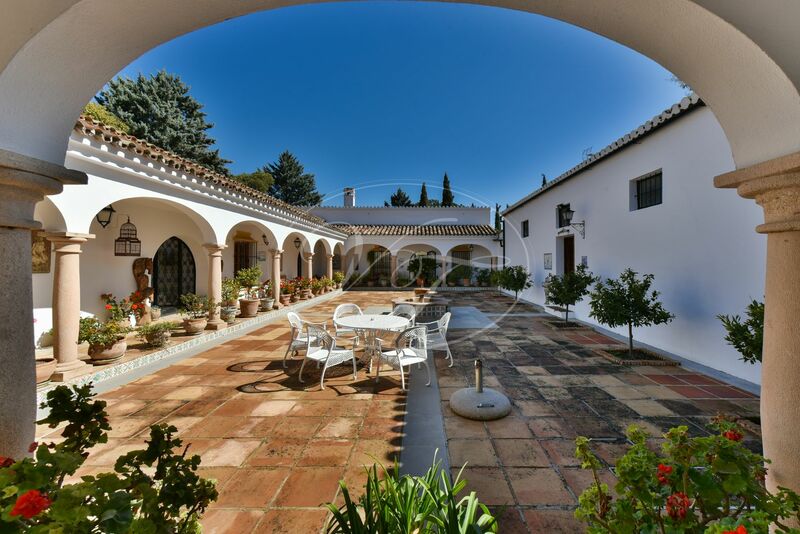 A stunning Cortijo, built around a traditional courtyard, that oozes authentic Andalusian charm. 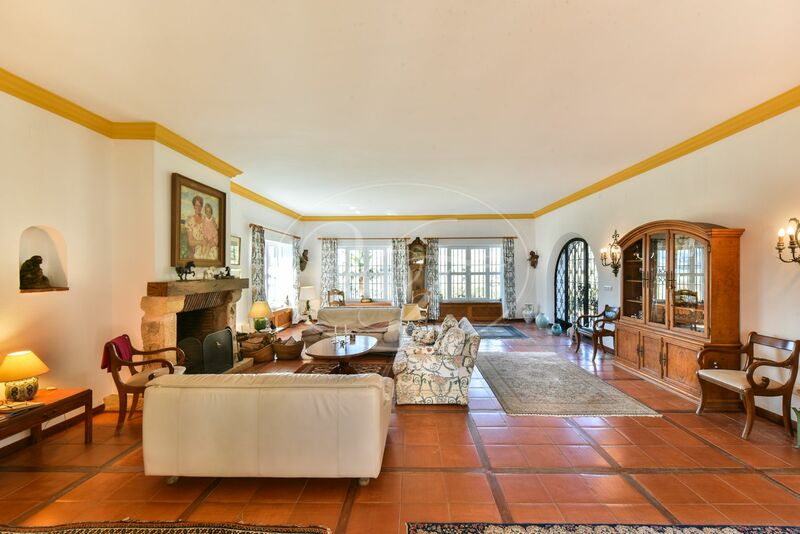 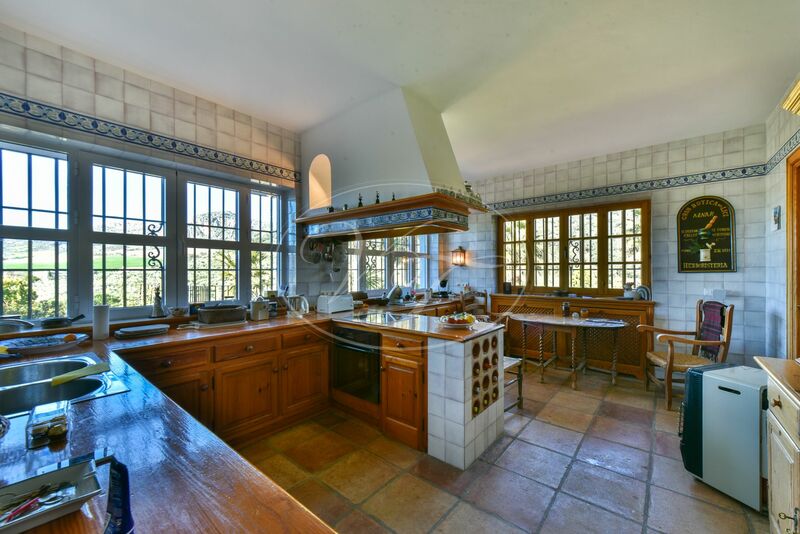 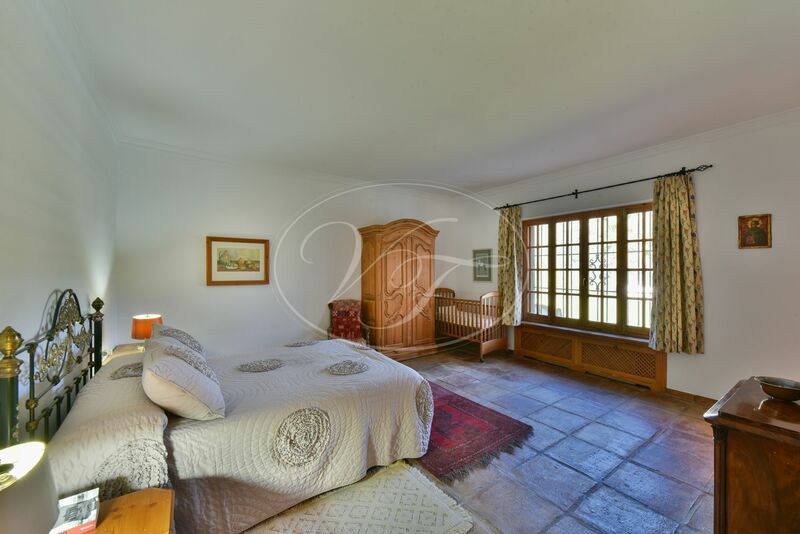 Parts of this lovely country property date back to 1912. 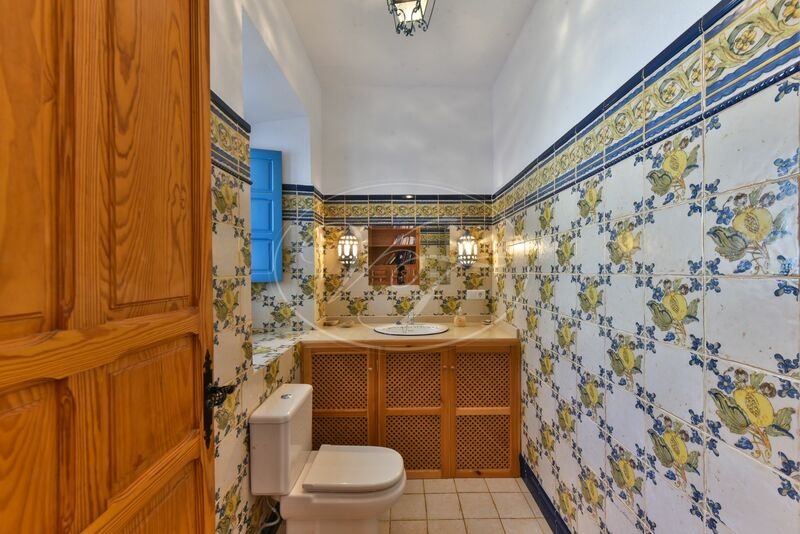 It was completely renovated in the 1980’s. 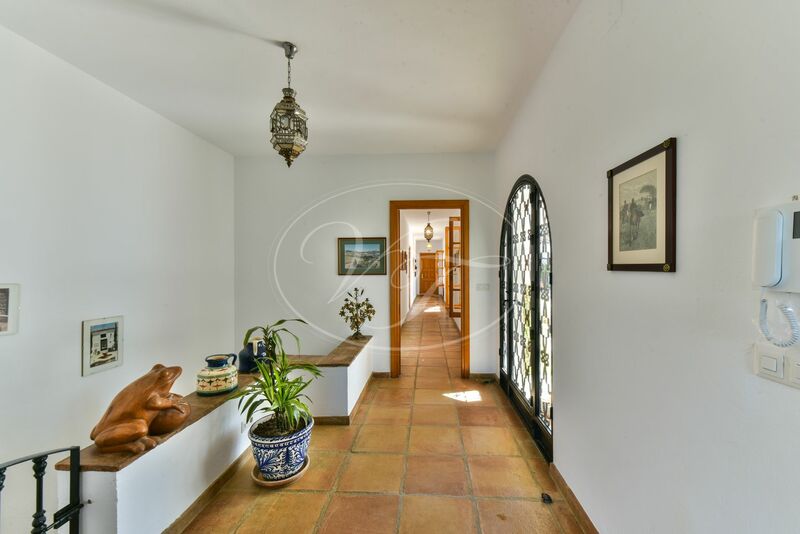 The Cortijo is accessed through an electric gate with camera control. 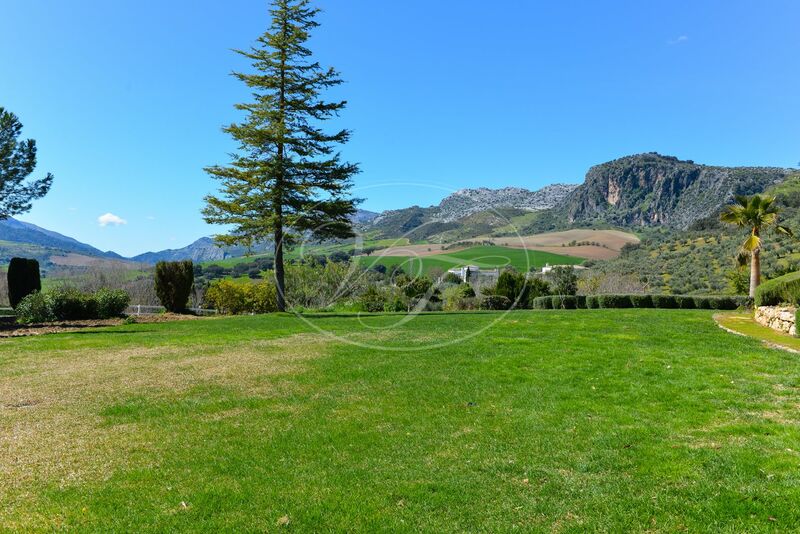 The 300m driveway brings you along large paddocks and an arena leading to ample parking in front of the three-car garage with individual electric doors. 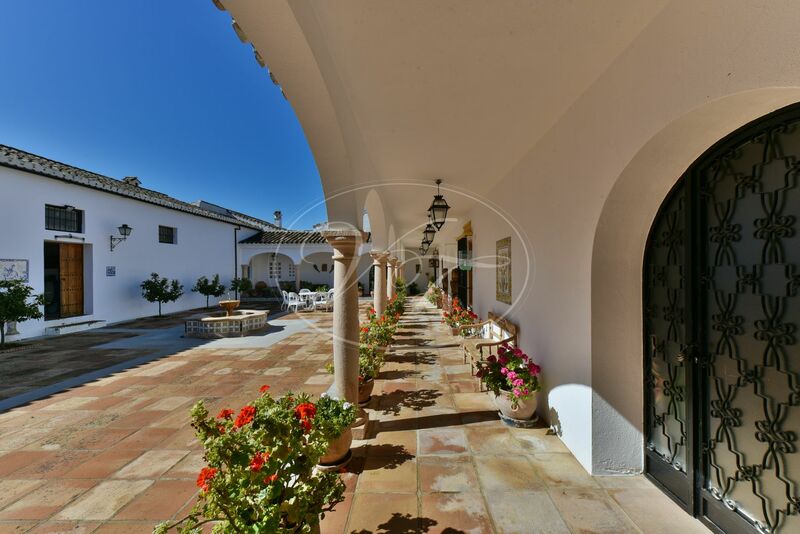 The Cortijo has maintained its beauty, designed around the traditional courtyard with a delightful fountain right in the centre. 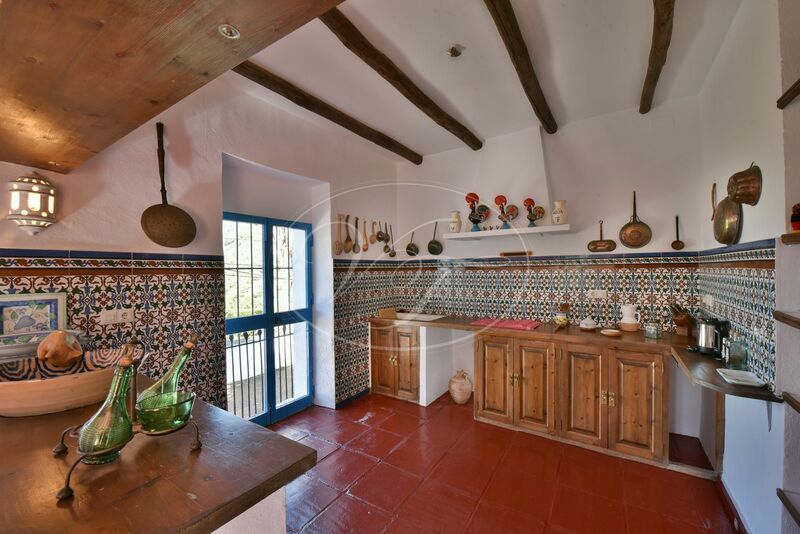 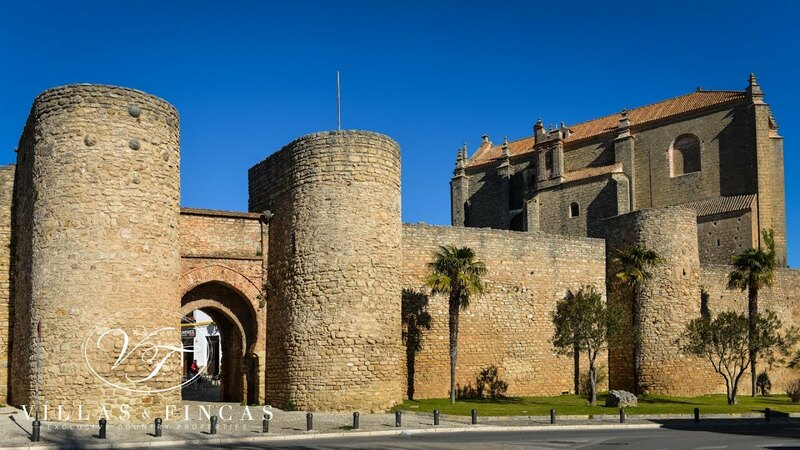 Original details have been used in the reform such as the stunning arches, pillars, antique wooden doors and reclaimed tiles. 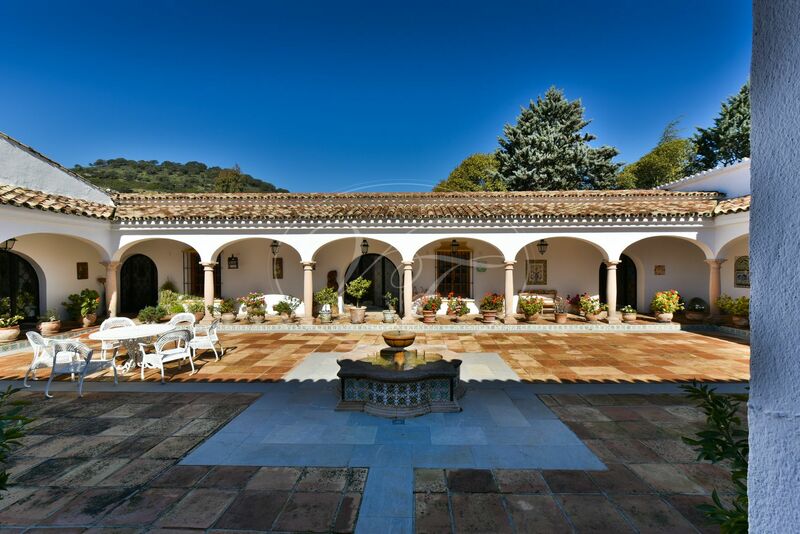 All accommodations run off the central courtyard. 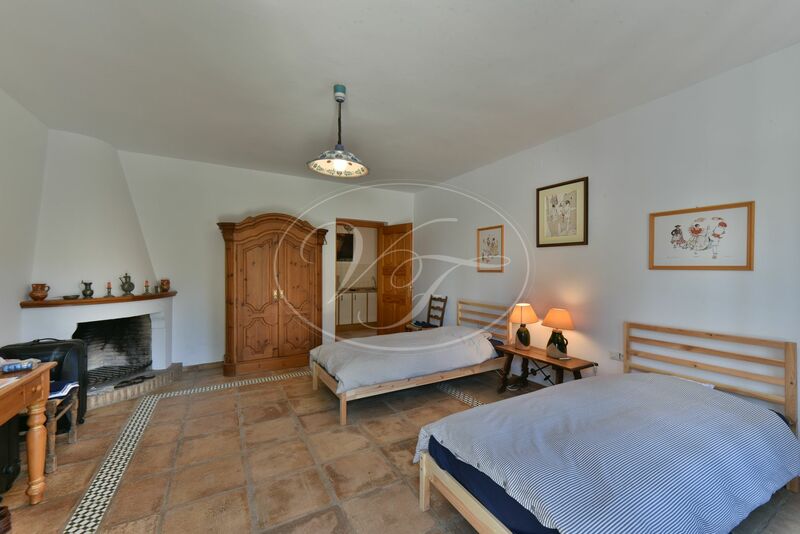 The main residence has a prime position, with stunning views over the garden, the fields and the mountains. 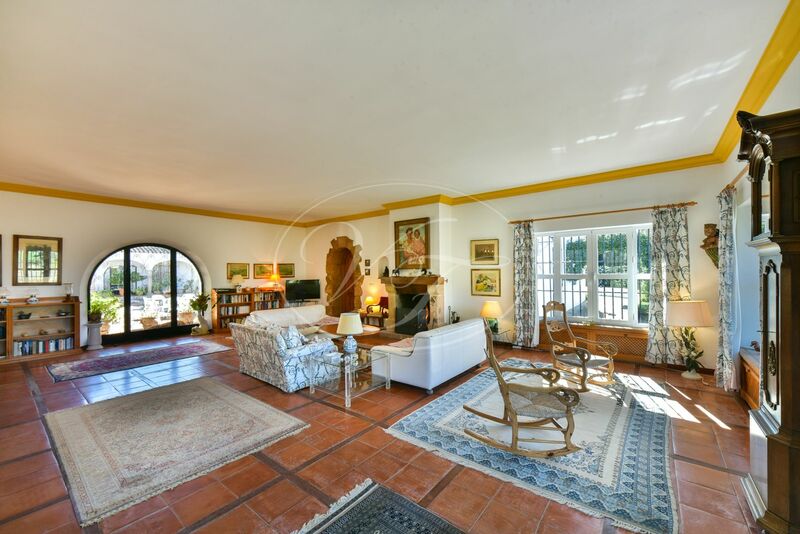 The courtyard entrance opens to a corridor from where you can reach the spacious elegant living room with fireplace. 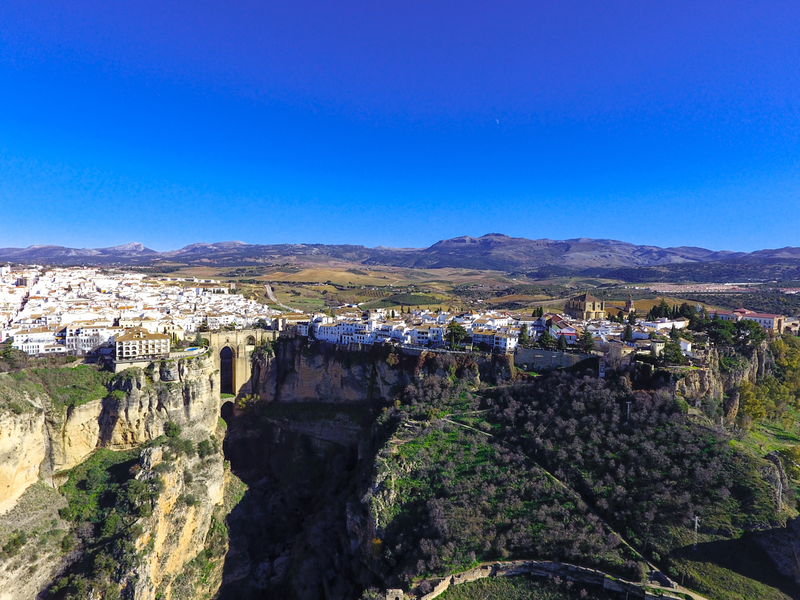 It boasts beautiful views of the Ronda mountains. 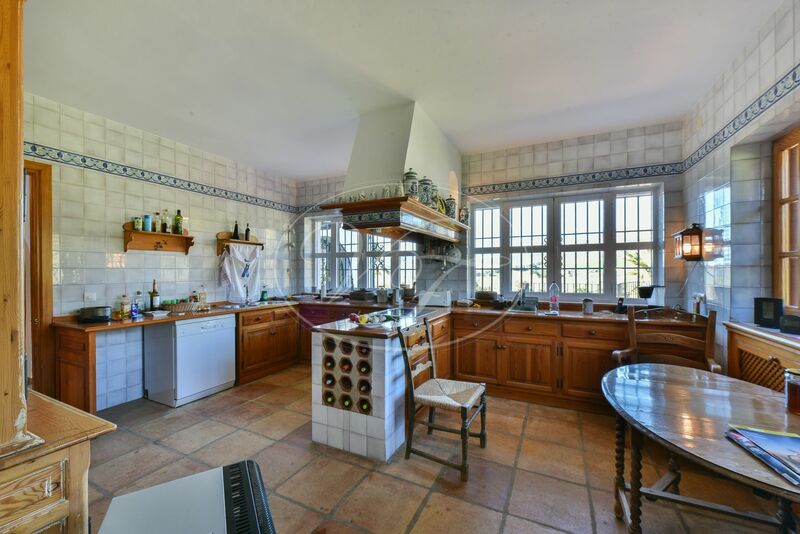 Furthermore, a large fully equipped kitchen with a dining area and an annexe pantry and laundry room, 2 large bedrooms that share a bathroom and on the lower floor the bodega/machine room. 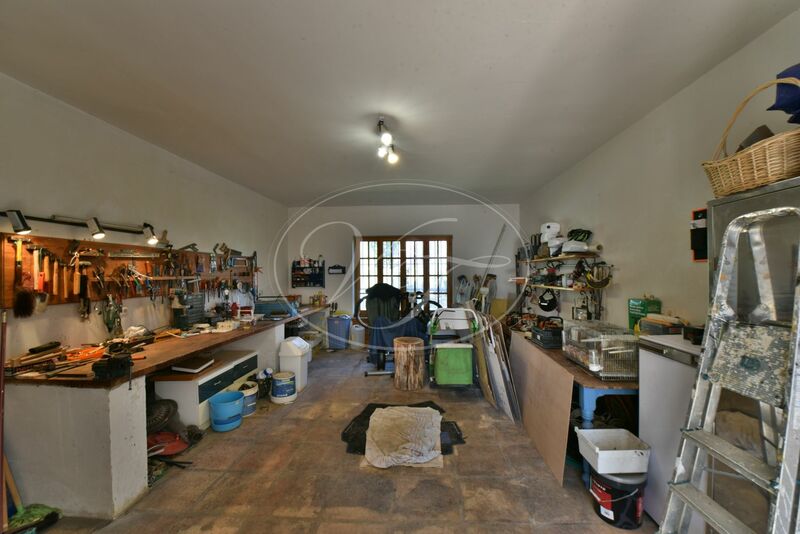 A large tool shed forms part of the main house and could be converted into an extra bedroom. 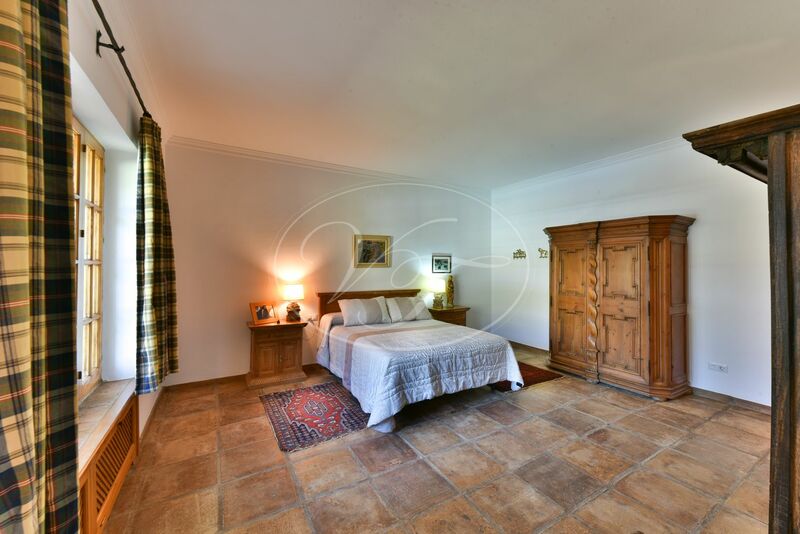 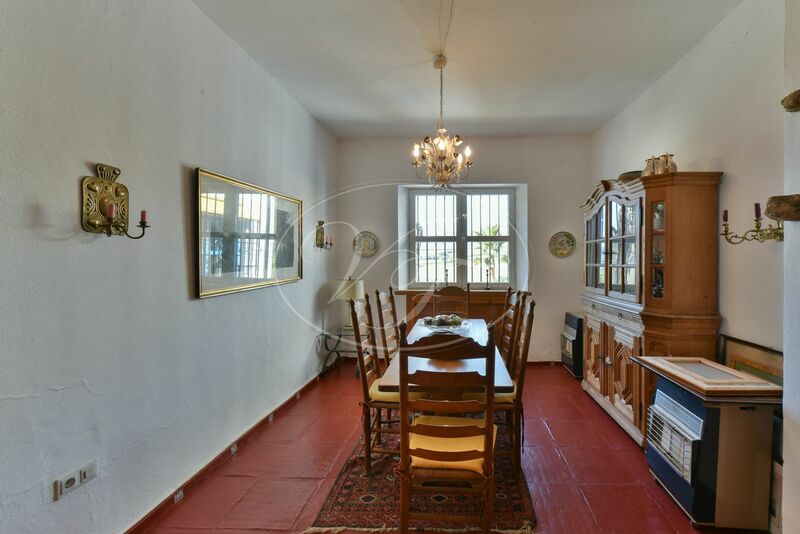 There is a cosy studio-apartment with fireplace, bathroom and fully equipped kitchen. 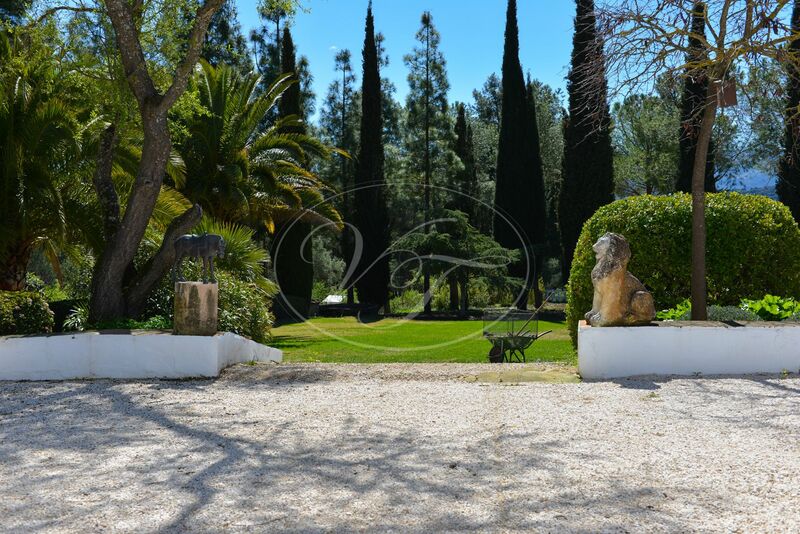 This can be accessed independently or through the main residence. 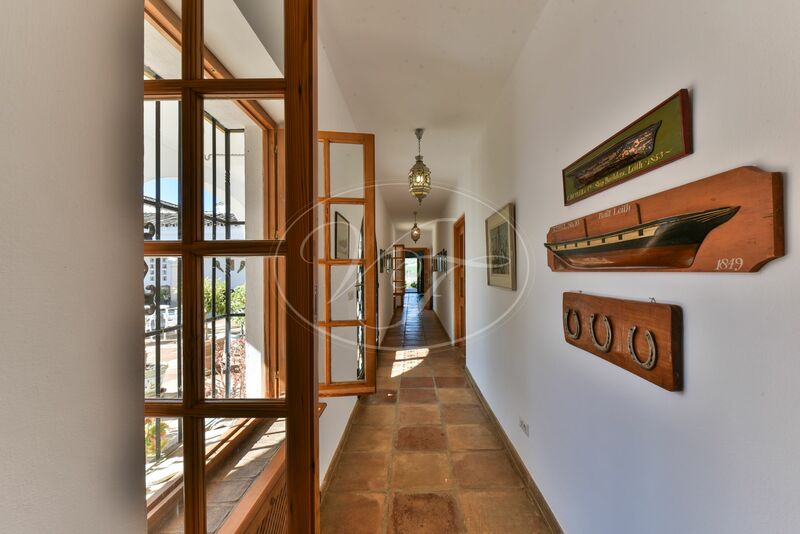 Furthermore, there is a staff or guest house on the corner of the building, which comprises three bedrooms, one bathroom, kitchen a living room. 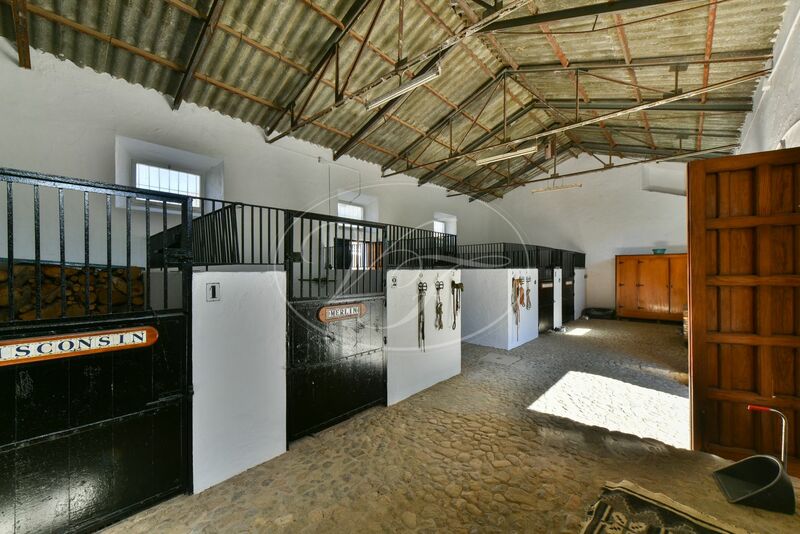 The stable on the far end of the courtyard has five large boxes, a hay storage and a tack room. 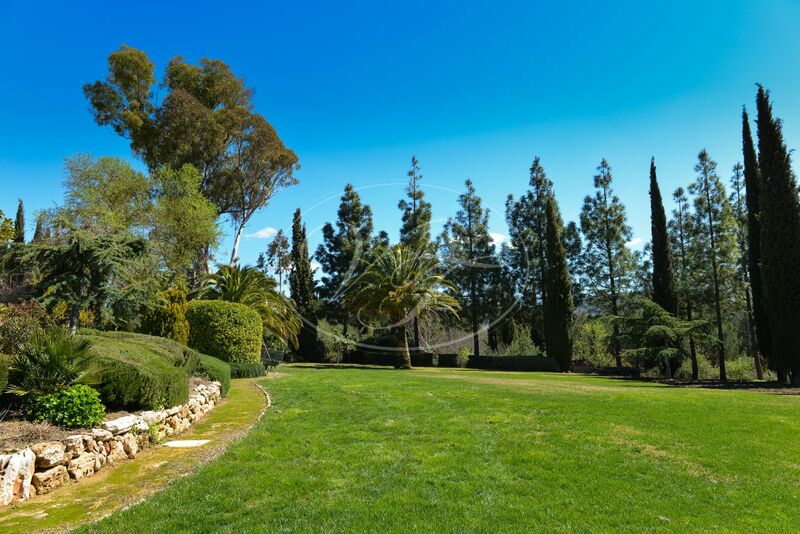 This unique country property is surrounded by mature gardens, green lawns and colourful flowerbeds. 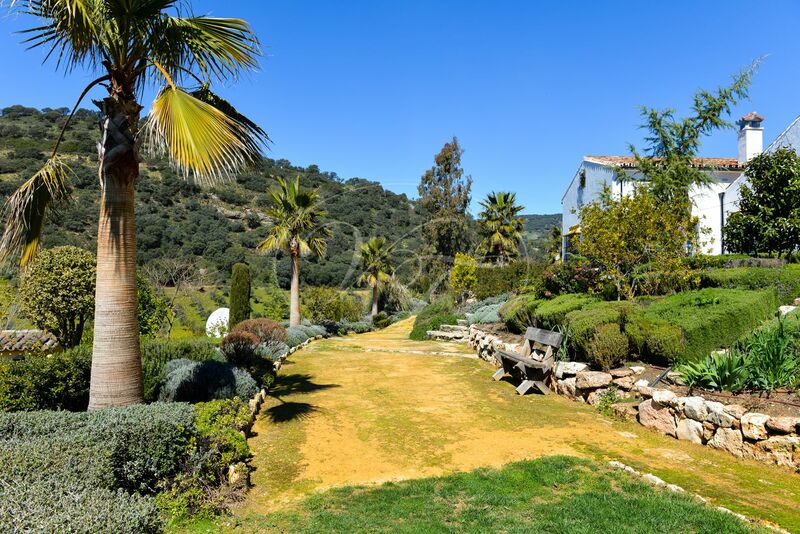 An oasis of beauty and tranquillity with breathtaking views toward the mountains, wherever you are in the garden. 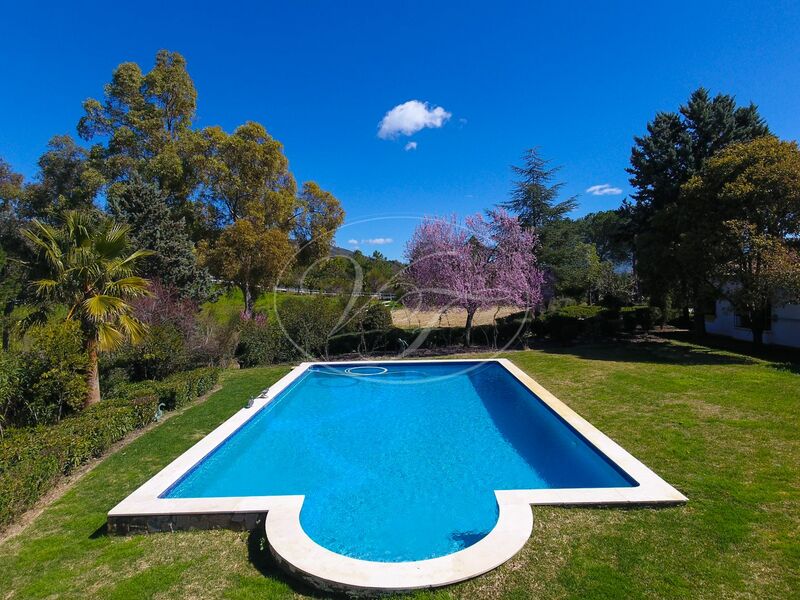 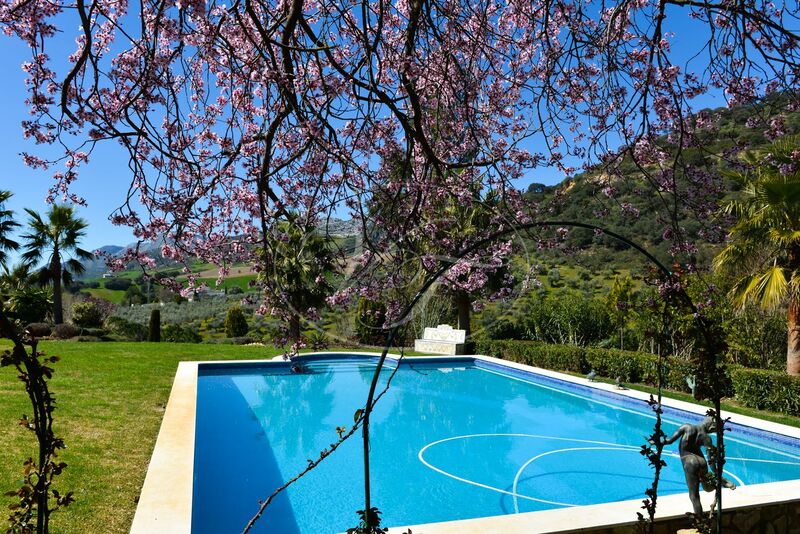 The 7 m x 11 m pool is divine, with ample sitting and sunbathing areas and natural shade provided by wonderful old almond trees. 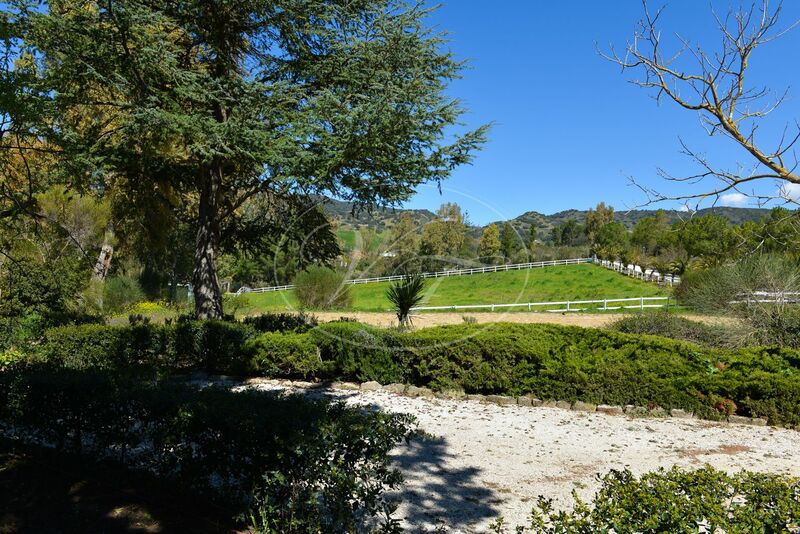 The large plot of land is divided into several paddocks for the horses and an arena. 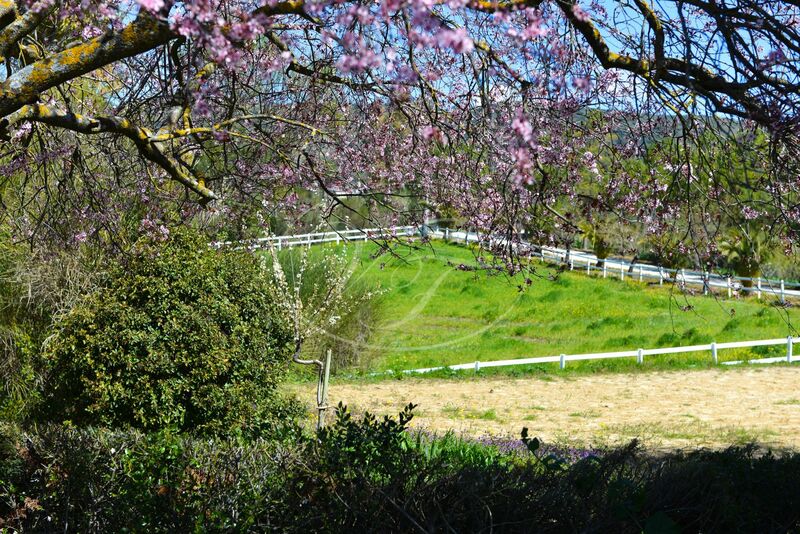 The land is on a gentle slope, so ideal for horses. 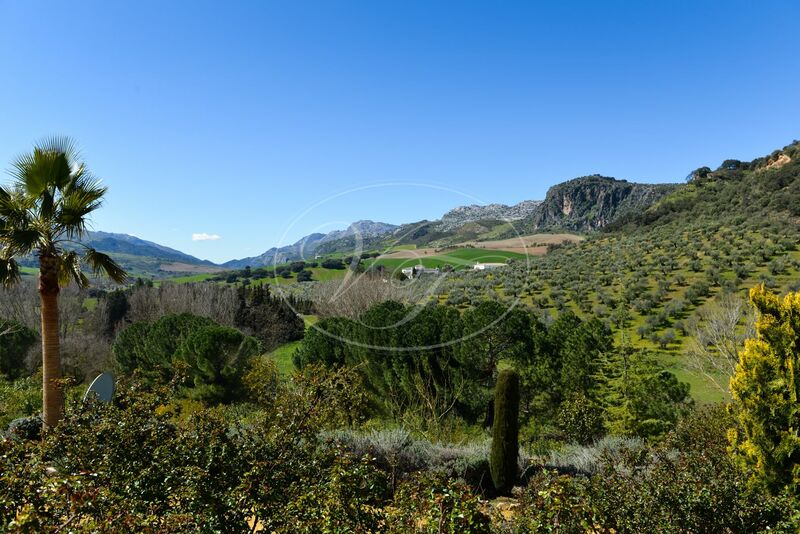 And of course, there are numerous horse trails in the direct area to explore this stunning environment on horseback. 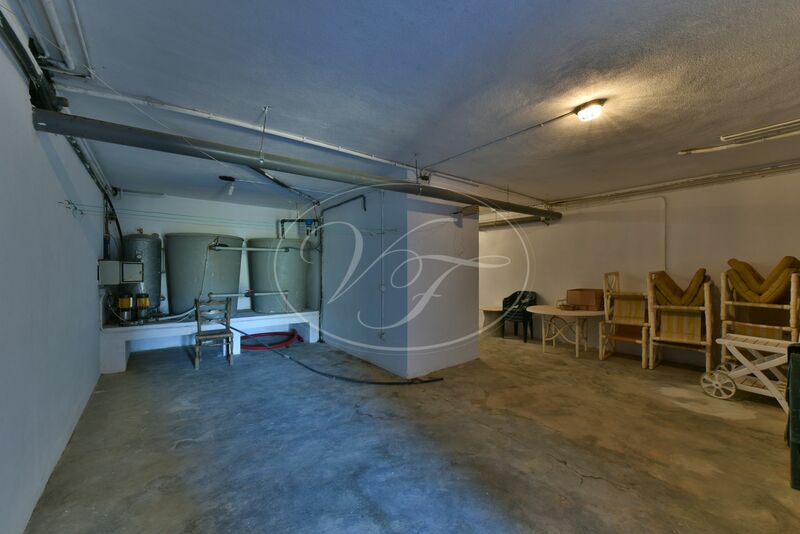 The large barn is used to store the machinery to work the land. 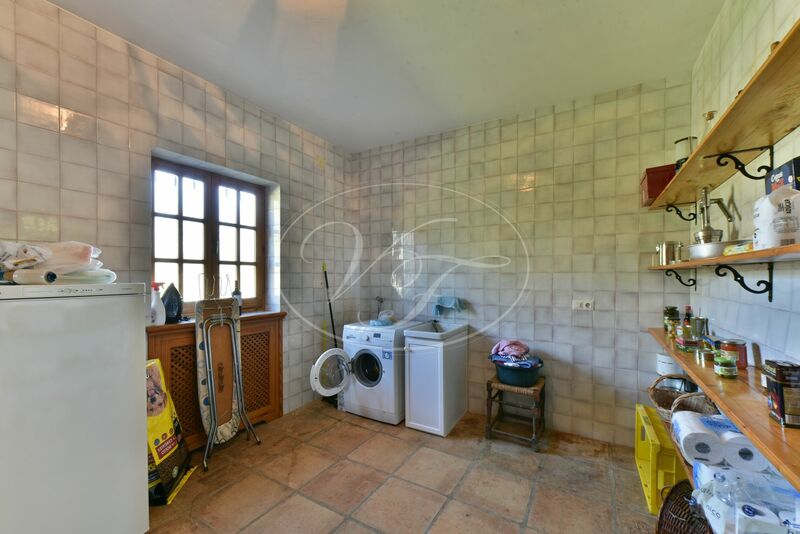 Near here you will also find the chicken pen. 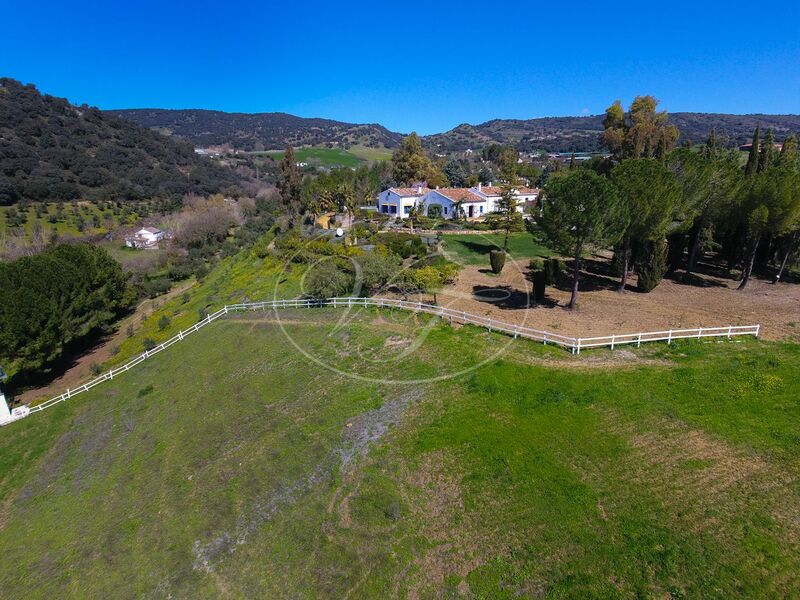 Fresh organic eggs come with the property! 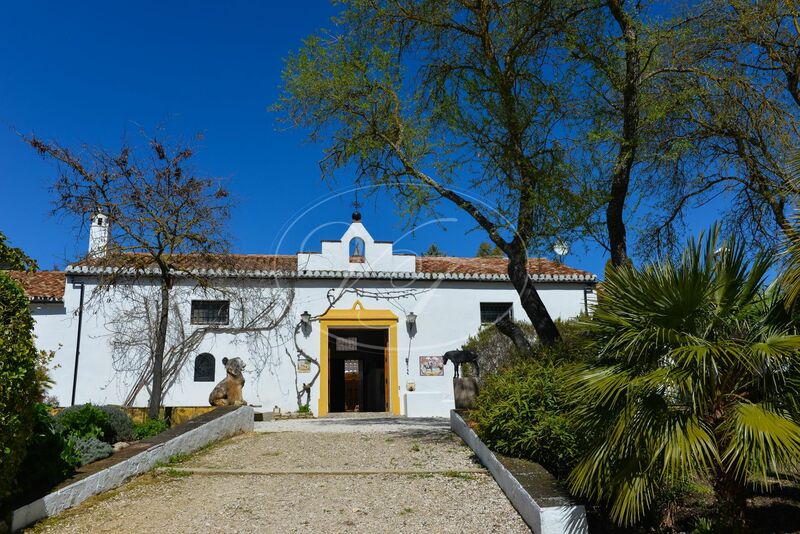 The Cortijo is connected to mains electricity and has its own water supply through a well. 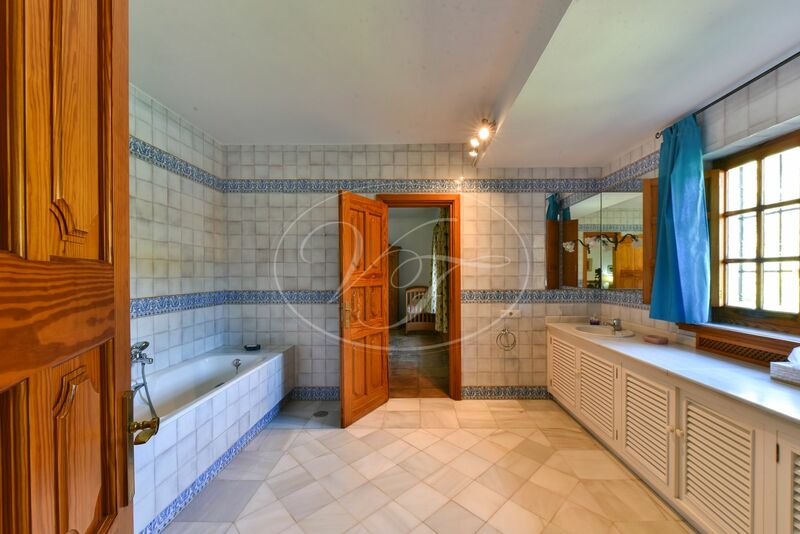 The house has central heating throughout the main living areas, internet and telephone connections. 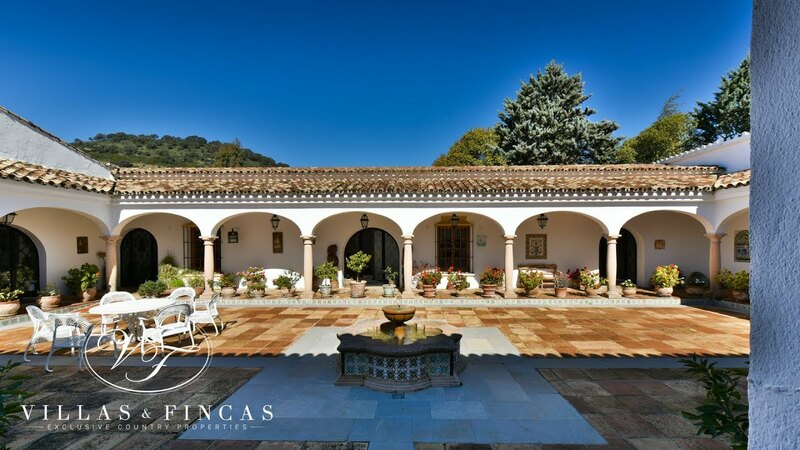 A truly special country property, a gem for those passionate about the traditional Andalusian charm of both the property and the area. 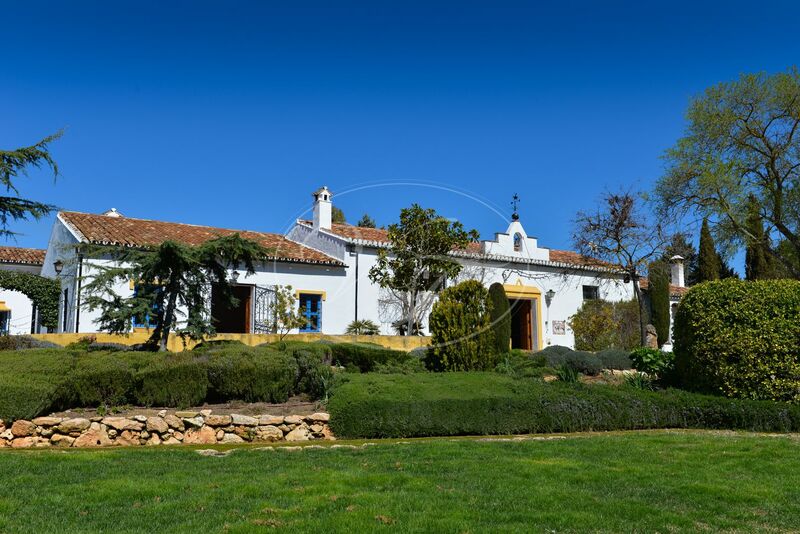 The Cortijo is at 10 minutes from Ronda, one hour to Marbella and one hour and twenty minutes to Málaga Airport. 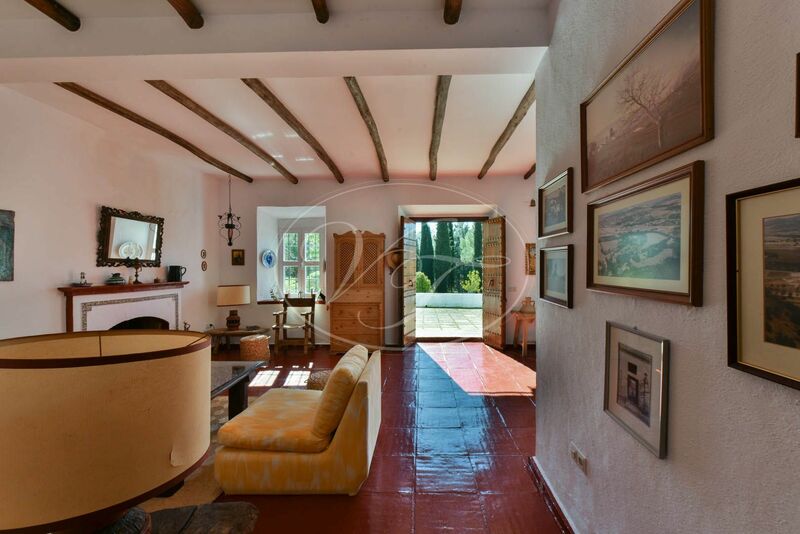 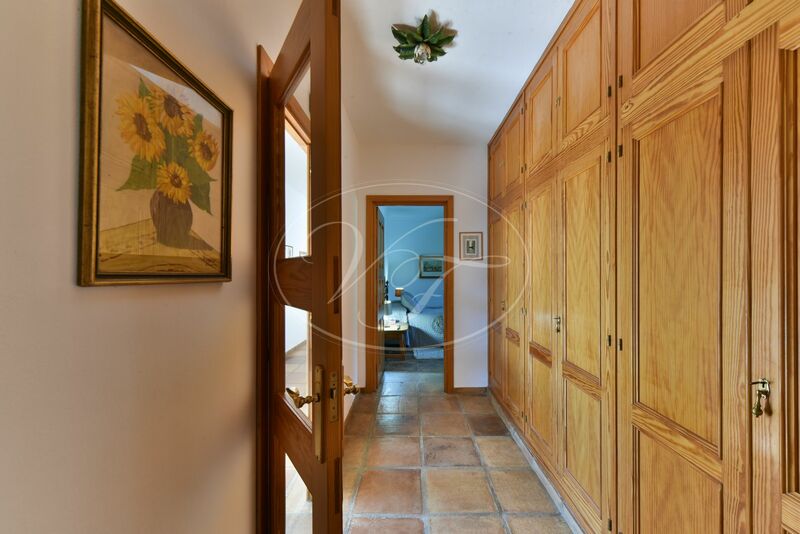 Please, send more information about ref 186-00744P, Cortijo in Ronda or similar properties.